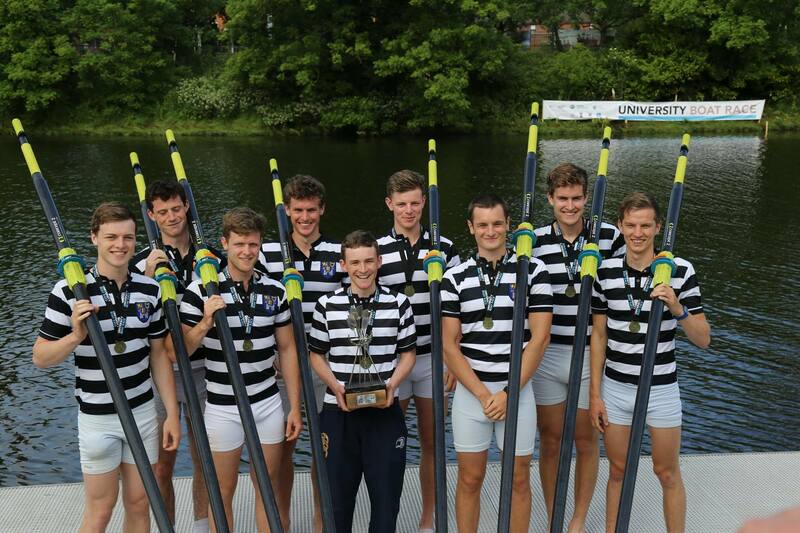 Queens University once again invited trinity to the 12th University boat race and this year DUBC answered with our Novice and senior Eight and for the first time, an alumni 8. The day began with a major race the invitational alumni 8s Trinity looked to have a great chance in this with hon. secretary Kacper Coulter drafted in to stroke along with some famous faces of Goonans past. They prepared very well, with Patrick Costello taking his hydration to extremes. However in a move akin to Judas Iscariot, Development Coach Charles Cunningham was spotted in the 6 seat of the Queen’s alumni 8, DUBC strode out well in the first 20 metres but ultimately fitness told and queens strode away in the last 400m. Queens put up a good fight in the novice event and pushed Trinity hard but ultimately they pushed out and broke contact with queens with a win that continued their unbeaten season at novice level. 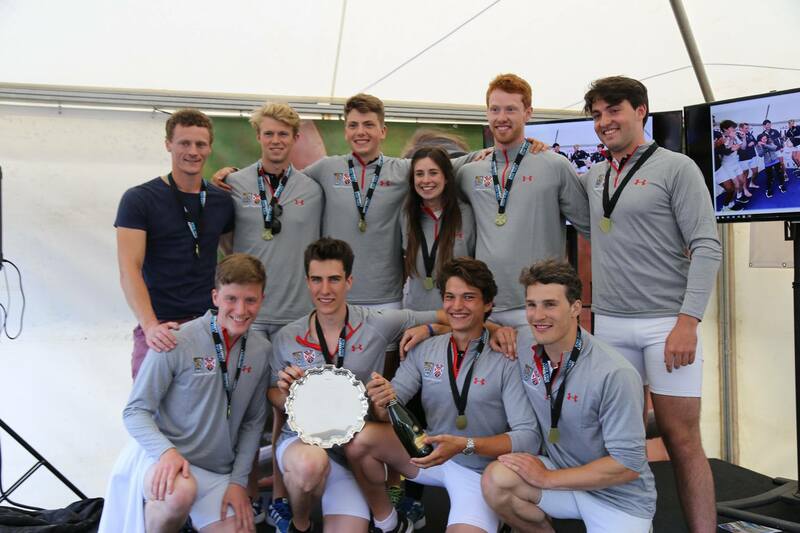 The senior level was bound to be a tighter affair along the winding and deceptive course, Queens and Trinity had shared the previous 12 races however Trinity had dominated in recent times, with some members looking to do 4 Boat races on the trot. Off the start queens quickly strode out to ¾ of a length on their own corner but crucially were stopped from breaking contact, on the straighter part of the course coming past the Ormeau bridge, DUBC slowly edged their way into the lead and out to a length before the final corner, and with it’s assistance they pushed out to a decisive victory, this was the final boat race for many of the crew and the graduating members remained undefeated. Once again we thank Queens for the invite to an excellent competition and we look forward to further involvement in the coming years.